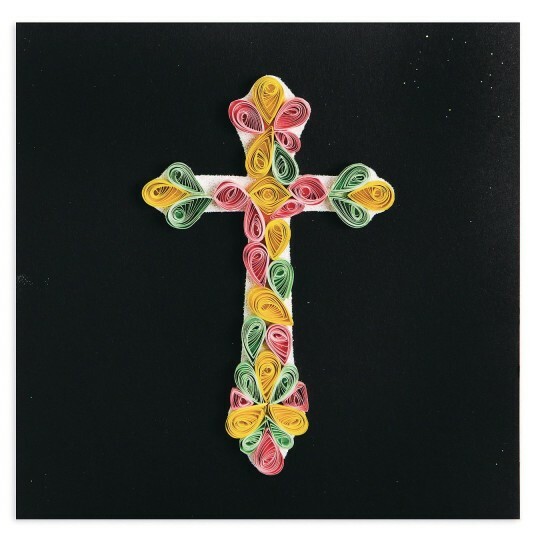 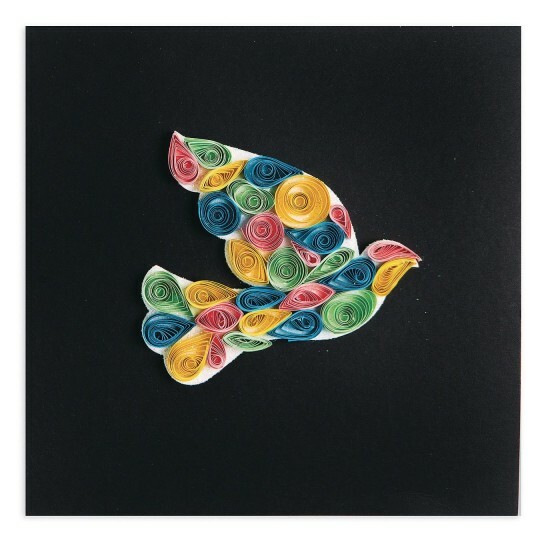 Discover the fun & beauty of paper quilling! 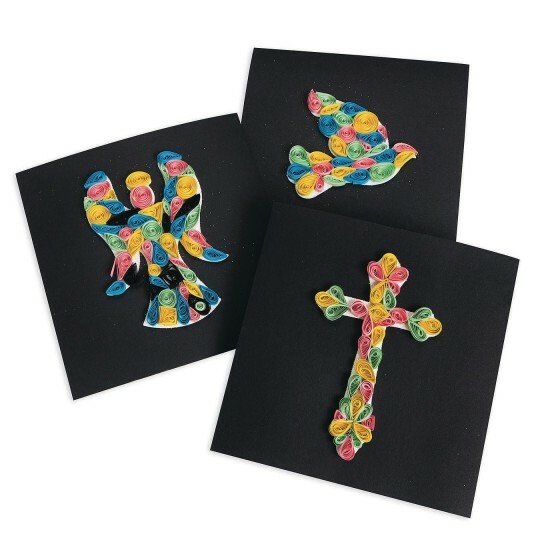 Discover the fun and simple craft of paper quilling and create a beautiful design with the ease of an adhesive surface and no glue! 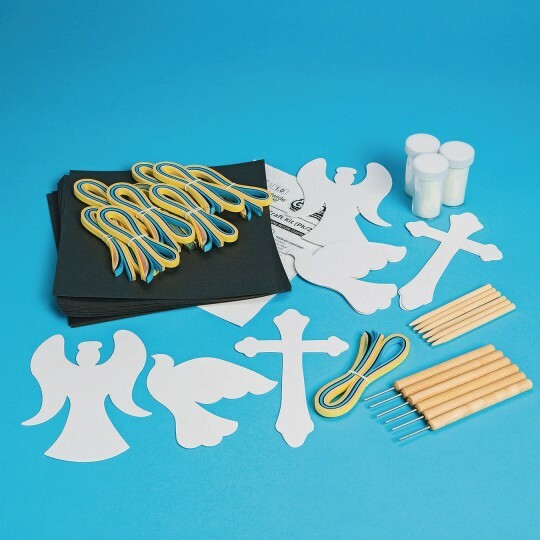 4 each of 3 designs to quill (Cross, Dove, & Angel) along with 8” square chipboard base, assorted color paper strips, reusable slotted quilling tool, wood dowels for quilling, and instructions. 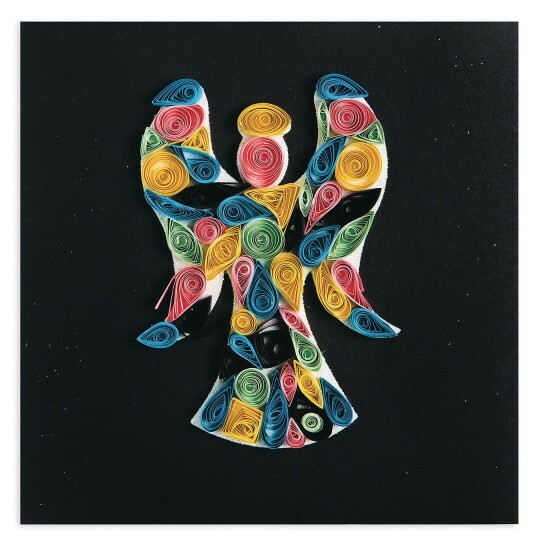 This kit also includes a detailed guide on 10 basic quilling shapes to get your group started, Glitter is what adds that extra sparkle, making this project special and an instant favorite!